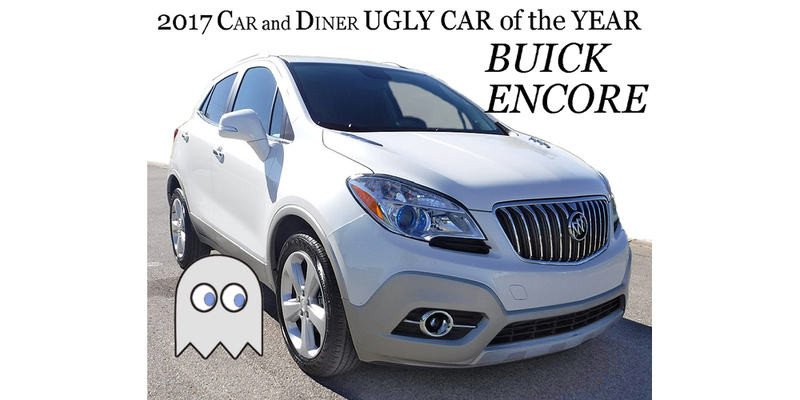 And the 2017 Car and Diner Ugly Car of the Year Award goes to: The Buick Encore! About the nicest thing we can say about the Encore is that it is, well, frumpy—perhaps something Walter Matthau might drive. At least Buick didn’t put port holes on the sides—a vestige of their boat-obsessed days (this one might be, oh…a tugboat?). When I look at the 2017 Buick Encore I see the Pac Man ghost character, but with wheels.